If you are in need of funeral directors in St Ives call upon the services of Easton & Cook Funeral Services. With 50 years of experience to draw upon, we offer a personal service that helps you in your time of need. Easton & Cook Funeral Services was founded by Andrew Cook & Kay Easton in 2010. Run by Husband & Wife who are both children of longstanding funeral directors in the area (Frank Cook & Dennis Easton). With Easton and Cook you can rest assured you will receive a non-Corporate Personalised Service from our family owned and run company. We're based in St Ives, Cambridgeshire and are willing to travel within a 15 mile radius to help you give your loved ones the funeral that they deserve. 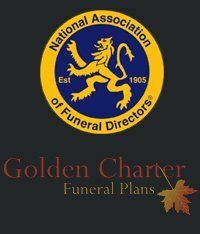 Funerals can be extremely expensive and so we are able to offer prepaid funeral plans including Golden Charter funeral plans ensuring that you don't have any extra burden at an already difficult time. Easton & Cook Funeral services also provide Headstones in St Ives and are Monumental Masons. Choosing a memorial is very important and we understand that memorials are a lasting monument to the life of your lost loved ones. Our aim is to provide a service that is of the highest quality making the process of choosing a suitable and lasting memorial as easy as possible. If you would like to enquire about our services please don't hesitate to call. You can contact us on 01480301400 or via the "Contact Us" page provided.